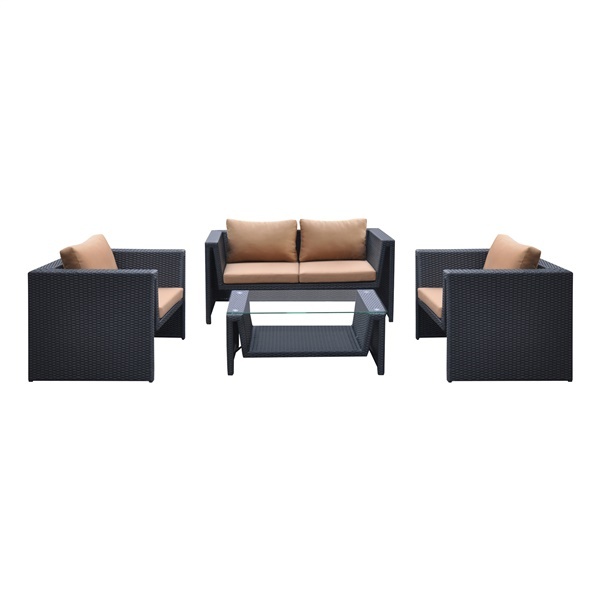 This gorgeous Oahu 4-piece set is a great addition to your modern patio. This elegant set has two armchairs, one loveseat and one coffee table. It�s perfect when you�re entertaining or when you want to simply relax with your family. The loveseat and armchairs have plump seat and back cushions and the frames are made of aluminum and covered in black powder-coated wicker. The table�s topped using tempered glass and comes with a handy bottom shelf for storing books and magazines.